Computers have come such a long way in the last 50 years. Computers that used to have dedicated rooms now fit easily on our laps. And with the internet, a lot of what used to be stored on hard drives now can be accessed through the cloud. So how much computing power does the average user really need? Can a Nextbook do the job? Up for review today is the Nextbook Flexx11A. MSRP in only $199. Get Word, Excel, PowerPoint and OneNote apps that are built for Windows tablets for a rich offline experience. The Nextbook Flexx 11A came packaged in a great looking color printed box with pictures on the product and specs listed on it. Also included was a charging cord, instruction manual and an easy start up guide. Opening the box revealed the product well protected with cardboard cutouts and custom fit compartments. Materials used in construction were mostly plastic with some metal and the unit was wrapped in a fitted cellophane pouch. Quality of materials as well as fit and finish were excellent and it appears to be a solid construction. It may not be as polished as some tablets, but it’s also a lot less expensive. The Nextbook Flexx 11A is a two in one product; tablet and computer combined. The screen and keyboard fit together snugly and are held in place with sturdy magnets that make switching modes a dream. The touch screen is responsive and I really enjoyed being able to touch icons instead of moving the mouse and double clicking on them. Setup was easy. Upon turning on the computer for the first time, the Nextbook Flexx11A walked me screen by screen through the set up process, including setting up cloud accounts and logging into your Wi-Fi. Switching between the laptop mode and the tablet mode was as simple as detaching the screen. The Nextbook automatically recognized when this happened and would switch modes without any further action on the user’s part. The internet is fast and easy to navigate. While there aren’t many programs preloaded, the Nextbook does have access to the Playstore for apps for the tablet mode. I enjoyed customizing the desktop to my needs. The keyboard is a tad small for full typing, but not nearly as cramped as these keyboards normally get. It is easily compatible with note taking or working with a document. I especially appreciated that there was no delay in typing on the keyboard and the symbols appearing on the screen. The screen and the keyboard worked together seamlessly. The graphics were very nice, with sharp contrast in the colors and brightness levels to accommodate any circumstance. The speakers were adequate. At higher volumes it did have a tinny quality, but that is typical for small internal speakers, and they worked very well. Most of the games I played on this unit were for the tablet mode, but the screen was very responsive to touch while playing games and there was no lag time involved with response. The battery life was very good, with a run time of about 6 hours while using non-stop combination between games and documents, or up to three days with intermittent use. And it charged quickly and can be used while charging. The Nextbook Flexx11A proved to be a very capable 2-in-1 tablet. I loved the versatility of being able to just take the screen off and use it in tablet mode. Yet keeping the screen on provided a nice built-in screen protector when closed, as the keyboard protected the screen. The screen was very responsive, graphics looked great, and it sounded good too for a tablet. It provided great functionality, and impressive performance. It’s bang for the buck is off the charts! 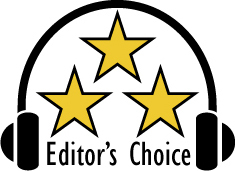 Based on it’s design, features, quality, and performance, the Nextbook Flexx11A has earned our Editor’s Choice Award. For more info and complete specs, check out their website at www.nextbookusa.com.